Gulliver's, the firm behind a proposed £37m leisure resort in Rotherham, has reiterated its commitment to the Rother Valley site that is bigger than all of its current parks combined. Planning permission was granted earlier this year subject to a number of conditions and the family-owned business is purchasing around 250 acres of the restored former colliery and opencast site from Rotherham Council. 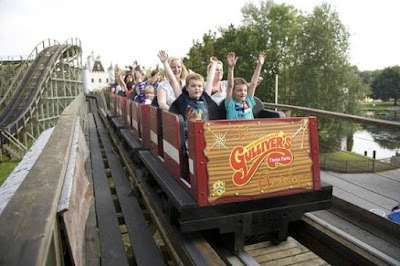 Providing an update at the recent meeting of the Rotherham Pioneers, Richard Welby, who worked his way up to becoming a resort manager for Gulliver's, conveyed the excitement that the established firm has for the Rotherham site. Welby said: "Our board was unanimous in deciding on Rotherham as our fourth site. It has a bigger sq ft than all of our current sites combined and is an amazing site." The operators of theme parks in Warrington, Matlock Bath and Milton Keynes, developed the plans for the first of their sites in the UK to encompass all their major family entertainment elements in one location with new attractions exclusive to Rotherham such as rides and attractions relating to transport and classic cars. Welby added that he expects the £37m capital investment to "significantly rise." The proposals are expected to create around 400 jobs and have a total annual operating net economic impact on the local economy of £11.6m. The overall site is approximately 98 hectares in area comprising the northern part of the Rother Valley Country Park. 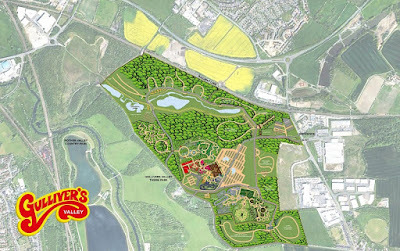 215,000 sq ft of buildings are proposed, including: Main Street featuring an indoor, year round attraction including a splash zone, interactive play areas and NERF zone; five key ride areas providing over 40 rides and attractions; three hotels; themed holiday lodges, themed leisure facilities; and a spa and fitness centre. Further details of the attractions set for Gulliver's Valley, including Liliput Castle, a log flume, Antelope, Pirate Coaster, Tower Ride, farm park and pet resort, can be found here. Discussing some of the features and attractions, Welby added: "We are not in competition with Rother Valley, what we do will compliment the offer at the county park. People in the industry laughed when we told them that some parts of our park will be accessed for free but we think it is really important." Public rights of way have been incorporated within the scheme without the need for diversions. A number of courtesy footpaths have also been included which will be available for use during daylight hours. The Rotherham site is also set to include a "Dream Village" which the company had been looking to do for a number of years and has now found the perfect site for. The concept involves seriously and terminally ill children, together with children with special needs, given the chance of a lifetime to enjoy cost-free respite weeks and much needed getaway. Speaking with experience, Richard said: "This will have national significance. Again, it doesn't make great business sense to invest in something that will be given away for free, but it is really important for us to do it." Welby concluded: "We don't have investors or shareholders and, as a family firm, if we don't have the money in the bank, we don't do it. "We are not another pie in the sky project, we are not another broken promise. We are coming!" Rotherham Pioneers is an exclusive group for Rotherham businesses who want to promote the town, celebrate all that is good, and grow the Rotherham business community.